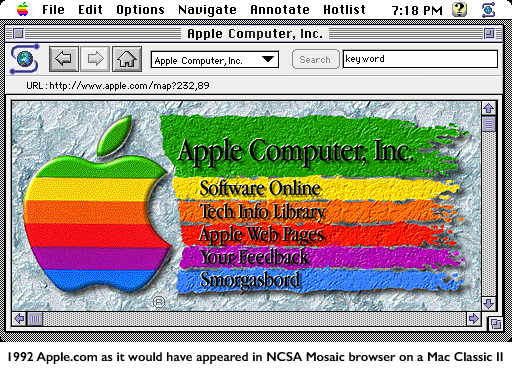 via http://kfury.com/the-first-apple-homepage Looks positively old-fashioned now, but the memories! I don’t remember this particular page, but I do remember compiling and using Mosaic as my first web browser on an old DECstation 5000, my first Unix workstation. via http://www.codinginahurry.com/2011/02/05/three-levels-of-git-config/ Very nice explanation, via coding in a hurry There are 3 levels of git config; project, global and system. project: Project configs are only available for the current project and stored in .git/config in the project's directory. global: Global configs are available for all projects for the current user and stored in ~/.gitconfig. system: System configs are available for all the users/projects and stored in /etc/gitconfig. via https://dev.evernote.com/doc/articles/polling_notification.php Useful note about how to poll an Evernote account for new content. Also a test of web clipping with Enwrite. 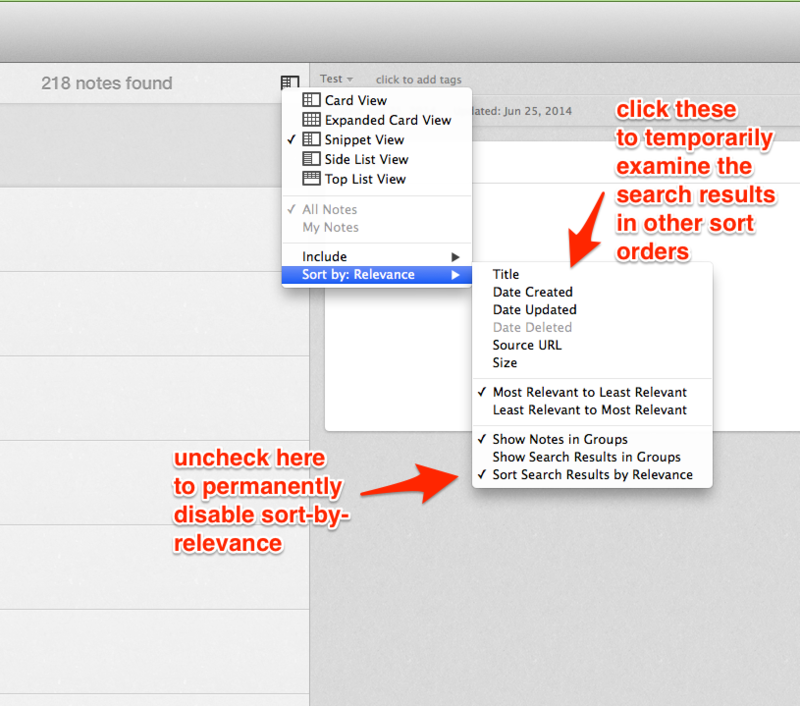 Polling If your app wants to know about changes in a user's Evernote account, you'll probably consider calling the NoteStore.findNotesMetadata function periodically to search for new notes. findNotes is incredibly powerful, but it's also expensive for our servers - we need to load the user's Lucene index, perform the search across all of their notes, hit the database to pull out the results, and send those results over the network to your app. You’re probably using the wrong dictionary « the jsomers.net blog > Which is to say you get a feeling about English that Calvin once got with his pet tiger on a day of fresh-fallen snow: “It’s a magical world, Hobbes. Let’s go exploring!” Very nice article. I ended up using the package from this page, which has slightly-better formatting in my opinion. Another great article by Matt Gemmell. I knew most of them, but learned a few things. The golden part for me were the third-party utilities, in particular Shortcat, which I didn’t know and is amazing: > It’s basically Spotlight but for all visible controls and objects on the screen: it’s type-to-select for *everything you can see*. The whole article is worth a read. Great article. I’ve been working from home full-time for more than seven years, and running my own business for the same amount of time. Many of us at least have the opportunity to occasionally work from home, and I daresay that many people would like the chance to do so permanently. It’s not just as straightforward as pulling out a laptop in the living room, though. Working from home has a number of difficulties and challenges. I’ve been trying out Airmail as my main email app. It’s quite nice, I like the built-in integrations, particularly with Evernote. By default, when you use the “Save to Evernote” action, it saves the current message to Evernote and opens the newly-created note. I went spelunking into the Airmail application directory, and found the way to disable the note-opening. Follow these steps: Quit Airmail (don’t know if this is necessary, but it can’t hurt) Open the Terminal app Run the following command in the terminal (all in a single line): sudo /Applications/Utilities/AppleScript\ Editor. I’d been having for some time a problem with `com.apple.dock.extra` appearing in the “Apps using significant energy” section of the battery menu. I just learned the solution (from http://forums.macrumors.com/showthread.php?t=1651662): remove BusyCal 1.6 (I upgraded to BusyCal 2, but left the old version around in case I had to go back to it). After removing it and restarting the Dock, the problem stopped. From the same thread, it seems the problem was caused by BusyCal’s “animate transitions” preference. 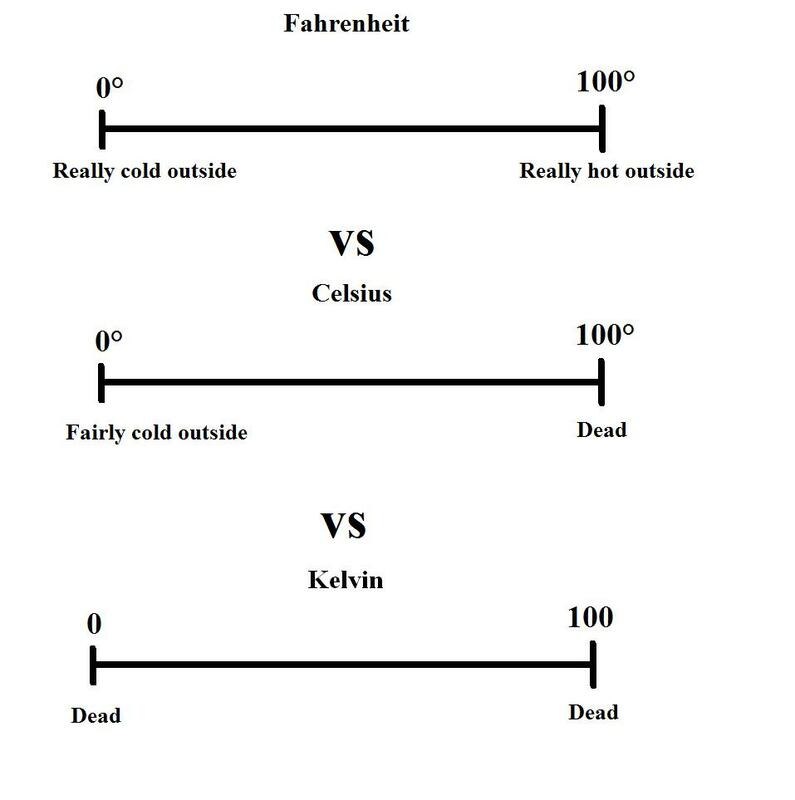 Interesting explanation, via http://ralfmaximus.tumblr.com/post/73635353732/spinningyarns-doctorbee-xwidep-scales This is because Fahrenheit is based on a brine scale and the human body. The scale is basically how cold does it have to be to freeze saltwater (zero Fahrenheit) to what temperature is the human body (100-ish Fahrenheit, although now we know that’s not exactly accurate). Fahrenheit was designed around humans. Celsius and Kelvin are designed around the natural world. Celsius is a scale based on water. I’m giving an Ignite talk for the first time at DevOps days Paris. It’s an interesting format: a 5-minute talk with 20 auto-advancing slides, every 15 seconds. I found How to Give a great Ignite Talk by Scott Berkun very useful, including the accompanying video. About a year ago, Posterous was acquired by Twitter. A month ago, it was announced that it will be completely shut down by April 30th. I’ll spare you my rant about how the awesome customer service that characterized Posterous pre-acquisition completely disappeared after the acquisition :) On a more practical note, Posterous’ closing meant finding a new place to host my blogs. There are many options (you can find many of them described in the posthaven. 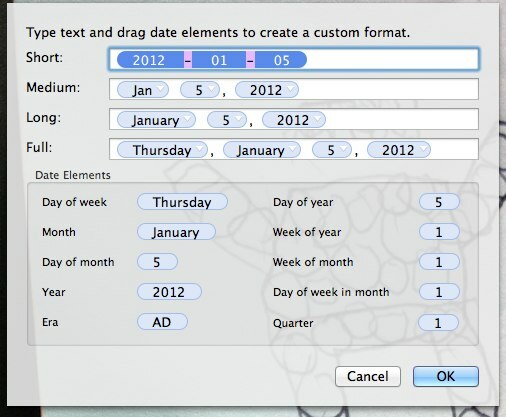 Evernote introduced some time ago an "Insert Date" keyboard shortcut, which is very handy. However, the options for the format of the inserted date seemed limited (only four options). 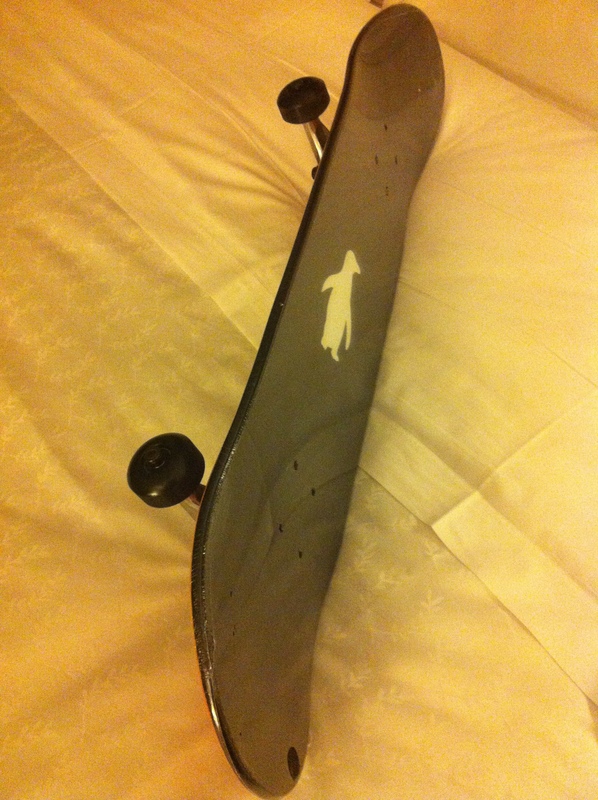 I finally learned how this works, and how to change it on the Mac. The formats offered are those that are configured in the "Languages & Text" preferences panel. If you go to "Region" and then click the "Customize button" in the Dates part of the panel, you will see and be able to customize the formats for short, medium, long and full date representations. I would like to challenge you to attempt to emulate their dam project any dam time and/or any dam place you choose. I believe I can safely state there is no dam way you could ever match their dam skills, their dam resourcefulness, their dam ingenuity, their dam persistence, their dam determination and/or their dam work ethic. via lettersofnote.com Amazing letter - read the whole thing, it's incredibly funny. At 16:02 UTC, Friday, May 25, 2012, the SpaceX Dragon officially became the first privately-owned commercial spacecraft to be captured by and berthed at the International Space Station. It is (if I’ve done the math correctly) the 114th spacecraft to dock with ISS, including the missions sent up to build the station. It is the first privately-owned commercial spacecraft in history to do so. via blogs.discovermagazine.com Amazing. There will be several CFEngine-related classes and talks at the PICC'12 conference (Professional IT Community Conference) on May 11-12th, in New Jersey. 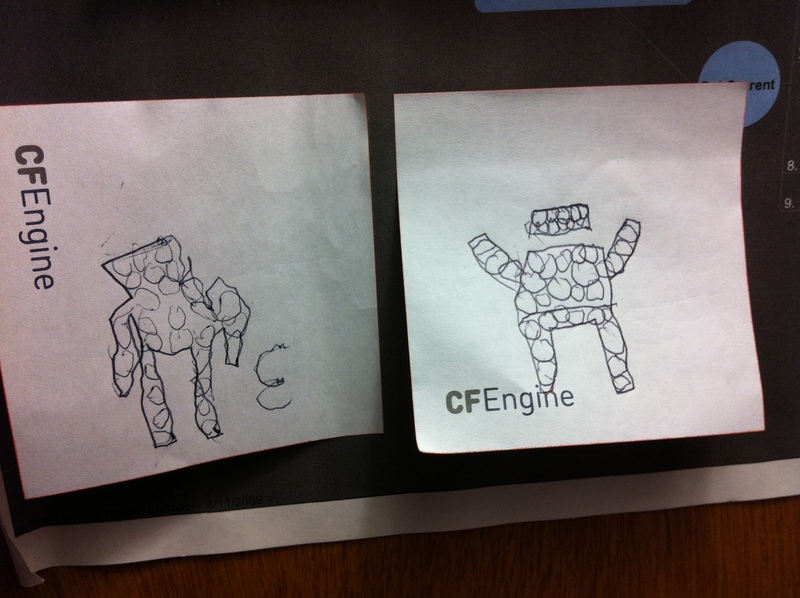 I will be talking about using CFEngine as part of your security infrastructure. My colleague Joe Netzel will be talking about migration from CFEngine 2 to CFEngine 3, so if you are using CF2 and have been considering (or dreading) the migration, make sure to come by! Aleksey Tsalolikhin will give an introductory class to CFEngine. via blogs.discovermagazine.com This video is simply amazing. via shop.oreilly.com Free e-book from O'Reilly. Photo credit: NASA I'm excited to report that, using state-of-the-art deep sea sonar, the team has found the Apollo 11 engines lying 14,000 feet below the surface, and we're making plans to attempt to raise one or more of them from the ocean floor. 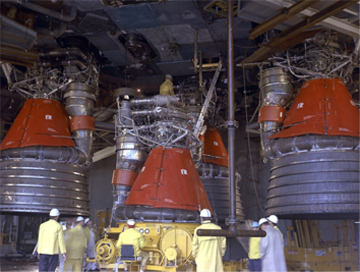 via bezosexpeditions.com Those are BIG engines. Would be awesome to recover them. Ever pushed a new project to GitHub and wished you had the time or talent to make a beautiful page for it? Stop wishing. We're proud to present the new GitHub Page Generator. via github.com Very nice new feature. 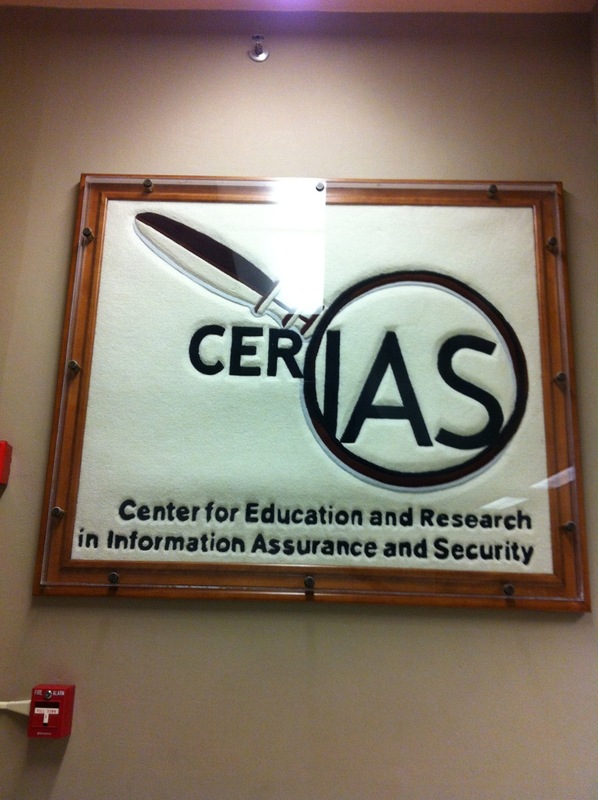 I am at Purdue to give a CFEngine talk and visit some old colleagues, here are some photos I took during a night walk right after checking into my hotel. I graduated in 2001, and the last time I visited was almost 10 years ago. Time really flies, there are many new things in campus (including the shiny new Computer Science Building, which I had never seen), but so many others remain unchanged.